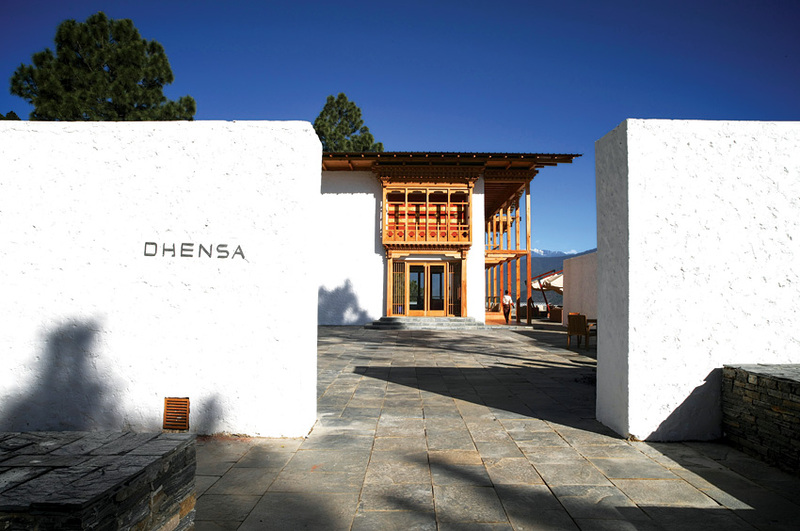 The entrance to Dhensa Punakha in Bhutan. 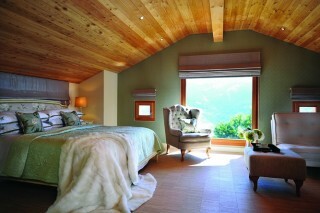 One of 24 elegantly spare guest rooms at the Dhensa Punakha. 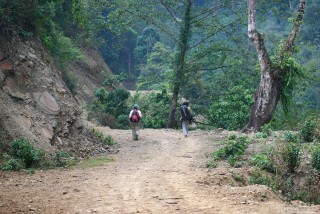 A three-hour journey through mountain roads leads to the property. This article originally appeared in the April/May 2014 print issue of DestinAsian magazine (“Himalayan Haven”). 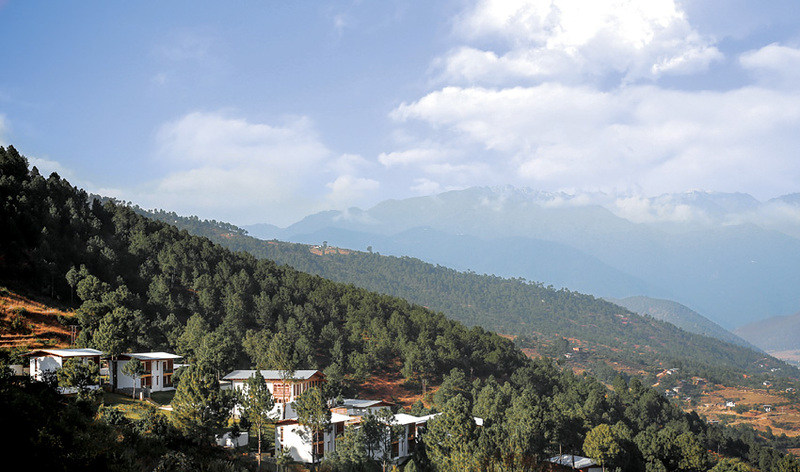 Explore the country's Jigme Singye Wangchuck National Park in search of wildlife and culture. 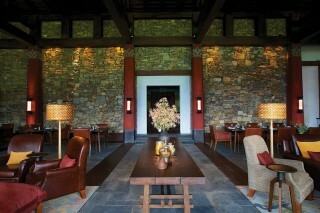 Located in the Phobjikha Valley, the property has stunning views and many outdoor activities. 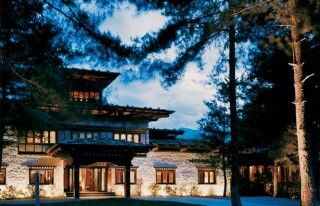 Nestled high in the eastern Himalayas, the tiny realm of Bhutan beckons with sublime scenery.